I suppose I’m not the only one who sometimes feels this way. We’ve probably all been there, at some point or another. The feeling that, for all the time, effort and cold hard cash that you put into this sport of ours, you really *should* be better than you actually are. As I ran into the office after a morning ride, my thoughts turned to my next event, Rockingham CIC**. Instead of feeling excited, though, I felt despondent. What on earth was the point, I wondered, as I jogged through Hackney in the bleak grey drizzle. Why did I bother? 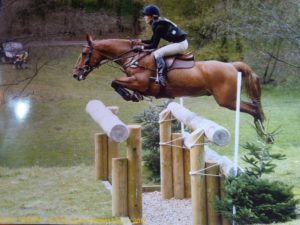 There was no way that I could get a Qualifying Result at CIC**, so why hadn’t I just entered the Intermediate instead? Almost as soon as I started to think this way, though, I realised what was happening. This wasn’t me – the Human – having these destructive thoughts. No, this was my Chimp! He’d sat quietly on the sidelines for several months, but now something had rattled his cage, and he had a thing or two to say. A few of you will already be familiar with my Chimp. More of you still will be only too familiar with your own. Our Inner Chimp is a concept that was written about by Steve Peters, sports psychologist to the GB cycling team. Your Inner Chimp is your instinct, your gut feeling. He’s far stronger than you and his animalistic reactions are lightning fast. He’s your protection in the jungle; he’s your best friend. He’s also insecure, irrational, and acts on impulse before he knows all the facts. He’s your worst enemy. He is The Chimp Paradox. Everyone has a different relationship with their Chimp. I value mine and I want to know his thoughts. When I was horse shopping last summer, for example, my Human agonised long and hard about the ins and the outs of each potential purchase, but my Chimp beat his chest, pointed at my orange horse, the horse who’s taken me to two CIC**s and several Intermediates, and yelled “THATONETHATONETHATONEIWANTTHATONEBUYTHATONEIWANTTHATONE.” My Chimp was right. So I listen to my Chimp, and then I decide whether to act on what he says. I pulled out my blackberry now and I flicked to an email from my husband. (We’re a dysfunctional City lawyer couple; we communicate exclusively by email and I have to call his secretary if I want to book a dinner date.) I passed my blackberry to my Chimp and he started to read. The email wasn’t actually about Rockingham. It was about something else, but it was applicable here. “The stars are aligned in your favour” the email read. “You have to do this now, because if you blink, even for one second, then they will stop aligning and it will all be over.” It sounds all very poetic, but what my husband meant was this. It’s so very, very hard, with horses, to get it all to come together. And it’s so very, very easy, for it all to go wrong. 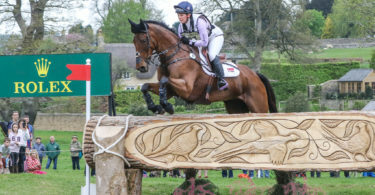 The promising event season that stretches ahead – and the horse who does a leg, to bring your dreams crashing down. The dressage championship that was yours to win – and the lorry that won’t start, losing you your warm-up, and your class. And a thousand other, similar stories. Who hasn’t been there? So here we were. Here was a two-star, ready to be entered. Here was a horse, ready to run. Here was a family, ready to back me to the hilt… And here was I. And I was going to grab this chance, with both hands, and, Qualifying Result be damned, I was going to ride in another two-star. Because who can ever say whether my stars will stay aligned for long enough to let me do this again. We turned into the City now and I started to overtake the traffic that was queuing down Bishopsgate. The Chimp handed back my blackberry, shook his head and ran off into the rain as I slowed to a walk. I fished out my work ID card, swiped into the building and started to feel excited about Rockingham. I was still feeling excited when my alarm went off at 2.45 am. 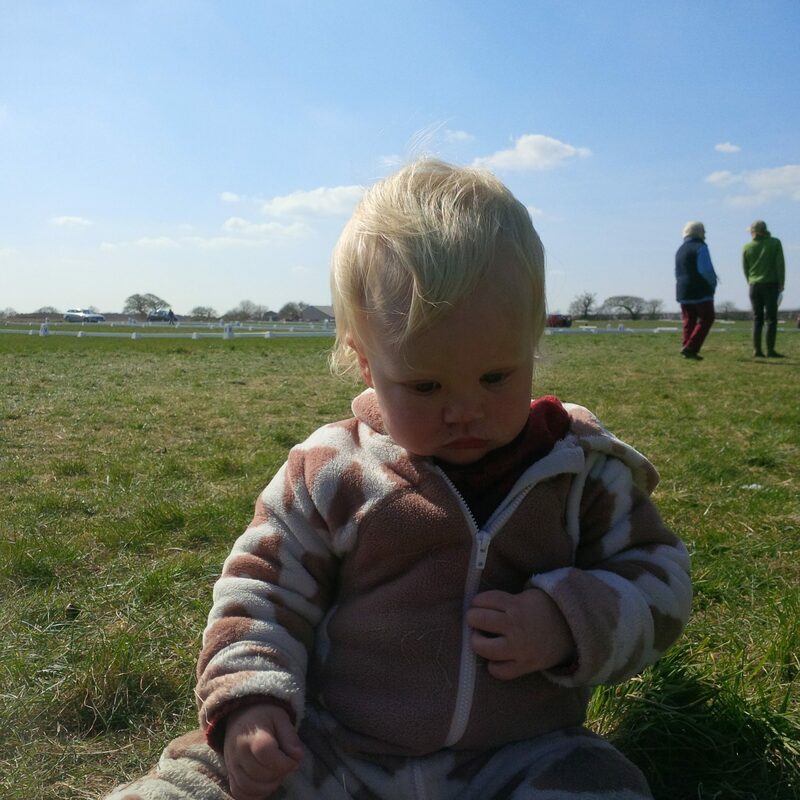 I’d questioned my sanity briefly, as I’d packed overnight stuff for the kids, the horse, for myself, as I’d packed my competition gear, as I’d thought through the logistics of exactly who would sleep where, wearing what, and whether a cot was going to be provided. 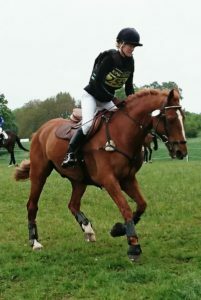 But then P(C)arrot and I arrived at Rockingham, I put on my tailcoat, and I presented my passport to the FEI steward. I was feeling pretty smug at the stage. Tailcoat, passport, plenty of time to warm up, well done me. Until the steward called me back “I think you have the wrong bridle number on” he said. I’d protested at this. No, surely not. I was 235, wasn’t I? No, 255, he’d said. Well, I’d fudged, 3 looks quite a lot like 5 from a distance, it was more or less the same thing and anyway, the 2 and the second 5 were right, and surely having two out of three numbers correct was good enough? After all, 66.6% was a heck of a lot better than I was going to get in my dressage test. After my little conflab about my bridle number, my horse quite correctly realised that I was totally innumerate and therefore fundamentally incapable of actually counting as far as three. On this basis, he thought, a three-time pace would suit just as well as a two-time one, and off he set, in canter, rather wildly, round the dressage warm up. I had little choice. After I discovered that I was as likely to get a trot out of him as I was to get the correct number on my bridle or get a score of over 66.6%, I just sat and let him go. Round and round we cantered. Round and round. Round and round still more. After a half-hearted attempt not to either morph into the BYEH showjumping course next door or run over Andrew Nicholson, I heard the steward calling my number. At least, she was calling A Number. Whether it was mine, or whether it was something that approximated to a numbering involving the wrong combination of threes and fives, I’m not really qualified to comment. “Three minutes!” she said. Three? Three? This three business again. Did she really mean three, or was it in fact five? The weekend before Rockingham, I’d gone for a XC lesson. “So,” said my trainer, “What do you want to work on today?” “My walk pirouettes”, I’d mumbled. “Can you have a quick look, because I remember I got a 2 for them the last time I attempted them.” Well, it’s come to something when you go to a XC course and ask your jumping trainer for help with your walk pirouettes, but there we are – there I was, and as I rode travers in small circles around a large triple brush, I started to wonder whether I was ever going to get a mark over a two for the wretched things at all. So in I went. It seemed ok, we kept a lid on it and we did what I thought may have been walk pirouettes and medium trots and half passes and shoulder-ins, but then I’m not the best judge of whether we’ve actually executed any of these movements or whether we’ve just wandered about in a faintly aimless fashion doing nothing much of any note whatsoever. And after that, I had the whole day to myself! A day without children, a day without work, a day…. A day to do what I liked! I was going to check Parrot in to his stable, I was going to have a shower, I was going to visit the delights of Corby, I was going to go shopping, I was even going to go and find a cinema and go to an afternoon movie, just because I could! I was going to read a book, and sit in Starbucks, I was going to go for a run, I was going to do whatever I liked! No, no I wasn’t. I wasn’t going to do any of that, as it turned out. I was actually going to walk my XC course, help a friend with her practice fences, while away the whole day standing in the sun at Rockingham horse trials and then drive round Corby in ever more confusing circles as I fruitlessly attempted to locate any or all of the train station, a car park for the same, a haplessly errant husband and two small, wayward children. if any of you have ever played that game where you have a chicken, a fox, a boat, and a camel and you need to move the oil barrels across the river without detonating the octopus (or similar) then you will probably sympathise with my plight. You’ve got a parrot-horse, an over-burdened husband, an ageing Chelsea Tractor, a trailer whose indicator casing you’ve inconveniently misplaced, two small kids and an overnight stay at a two-star. So, I did what any sane, sensible person would have done. I checked into a Premier Inn, brandished my saddle at them (having decided it would not be terribly secure overnight either in the trailer or the Chelsea Tractor) persuaded them to put my ice in their freezer and then bribed the kids into submission with an all-you-can-eat flapjacks and sugar-filled granola breakfast the following day. Somehow or other, we all made it back for the showjumping and we were in roughly the right place at roughly the right time, doing roughly what we should have been doing – until it came to getting to the showjumping warm up itself. Despite having spent most of the previous day IN the wretched warm up, whilst helping my friend, it will come as absolutely no surprise to anyone that, of course, I could not find the showjumping warm up for love nor money. The BS warm up? Oh, sure, just over there. The pony club ring? Yep, tick. But the BE warm up? Nope. As I trotted dispiritedly along behind the trade stands, certain that I was going in completely the wrong direction, I was waylaid by a kind lady who confirmed that I was, as suspected, going nowhere slowly, and who summed up my navigational deficiencies, and pretty much my life in general, by gently asking: “You’re lost, aren’t you?” Yes. Yes, indeed, I almost always am. Showjumping. This is an interesting one. I’ve been there, I’ve fought the demons, I have my battle plan, and yet…. Still. In Vito I was spoilt. I had a showjumper. A careful, balanced jumper. Neat to a fence, easy to ride. Intermediate tracks on Vito looked big, but they looked do-able and I generally knew how to ride them and where I stood. And Parrot, with his last pro rider, has a good SJ record too. Yet when we come together, we’re just not quite there. Sometimes it’s almost there on paper. A couple of poles down. A time fault or two. Other times, it’s palpably mediocre. It’s a run-out, where I don’t have him up to the bridle, it’s a stop, where we’re under-powered and I kick for a long stride, off no canter at all. It’s the balance between having the control, without shutting off the power. It’s revving up the engine, but not galloping round fast and flat. It’s hard. It’s hard and, though I’m mentally still holding it together, there is scope, there, for the demons to come back, and to bay for my blood. I was wired, alright. My last time out, we’d had a terrible score and this time, it was going to be better. My husband left the kids at the ringside with a friend who’d come to help and he walked alongside the edge of the ring with me. “So”, he said. “The question is, why are you the only one wearing a number bib, when everyone else is only wearing their bridle number?” I gritted my teeth. Not now. Not in the mood for this. (In all likelihood, both my bib and my bridle probably contained a random selection of ill-placed 3s and 5s and were probably wrong to boot.) I cantered round. Jumped a few. Looked over at the ring. Boy, they were big in there. But I could do it, and I would do it. “So is this a new thing for Internationals?” asked my husband. “White jods? What’s with the white jods? Punchy move, darling, don’t you normally wear cream?” Seriously? I’m coiled up with tension and concentration and, after a jibe about numbers, now he serves up this? I won’t be calling his secretary for a dinner date any time soon. “SHUT UP” I hissed, and I rode into the ring. And I rode the nuts off it. I squashed that horse between hand and leg, and I went for it. I didn’t even realise we’d had one down until the commentator said so, but still. It was my best result on him at that level to date, and I was going to take it. Now though, the possibilities started to dizzy me. Somehow (quite possibly because the judge and scorer were also innumerate, gave me 5s instead of 3s and then added them all up incorrectly into the bargain, who knows) somehow I’d managed to get 67 in the dressage. This of course, still meant I was last, but it was good enough to get me a MER. The SJ was good enough, too. A MER was within reach. And with MERs come opportunities. With MERs come CCIs. A MER could be mine. And despite what I’d told the Chimp, that this wasn’t about MERS and QRs, despite that, I started to dream. Hartpury. Osberton. 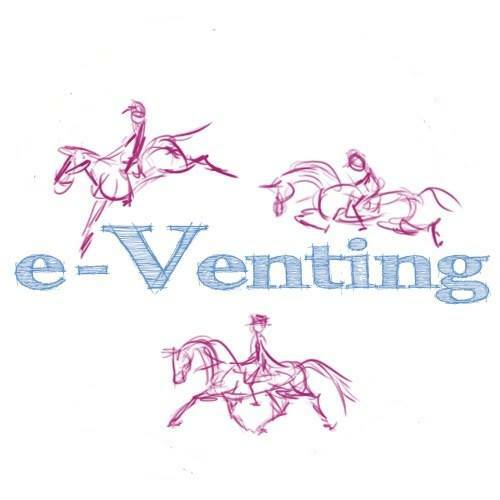 Three day eventing at two-star level. Big dreams indeed, for an innumerate lawyer with no sense of direction in white jods and an incorrect number. 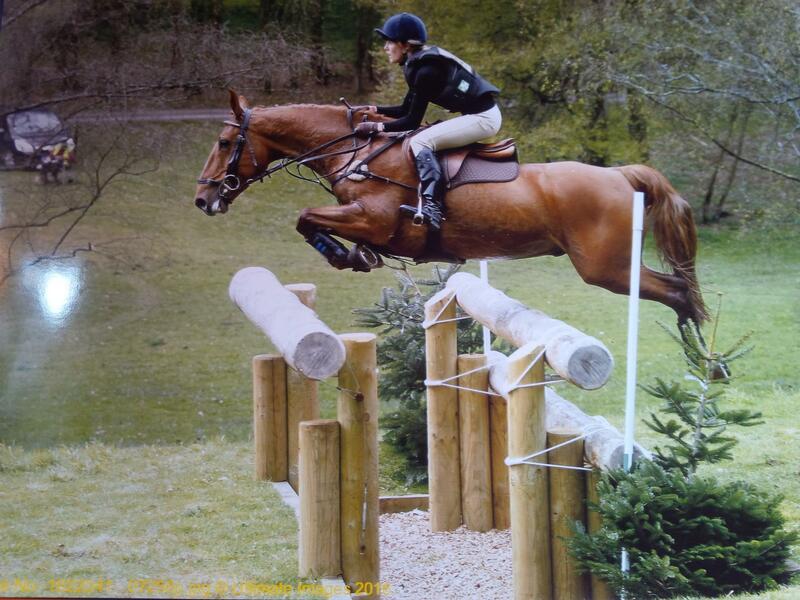 If I could just go clear XC, then, I’d have one of two MERs and I’d be halfway there. If I could just. If only. Obviously, I didn’t. Nothing major, a piece of misjudgement on my part, a careless run-out at a fairly innocuous corner, 20 penalties to add; so close, but not close enough.